Robur Safes are designed in Sweden and have been tested to stringent European burglar resistance standards by the renowned SBSC testing lab. Rated Grade I under the EN 1143-1 test, these safes provide protection for up to €15,000 in cash and up to €150,000 in valuables. Large cylindrical locking bolts secure the door once locked. Models 40 to 1500 have also been tested to the NT FIRE 017 standard and offer an impressive 60 minutes of fire protection for papers and documents. Strong barrier materials in the door and walls of the safe help fend off both burglars and heat. Meanwhile, the door handle features a unique design modelled after the Robur logo. A changeable key lock is fitted as standard to the door. Optional digital and audit trail locks provide an even higher level of security and are Class B certified. A large range of internal fittings are also available, ranging from lockable internal compartments to filing frames for A4 documents. 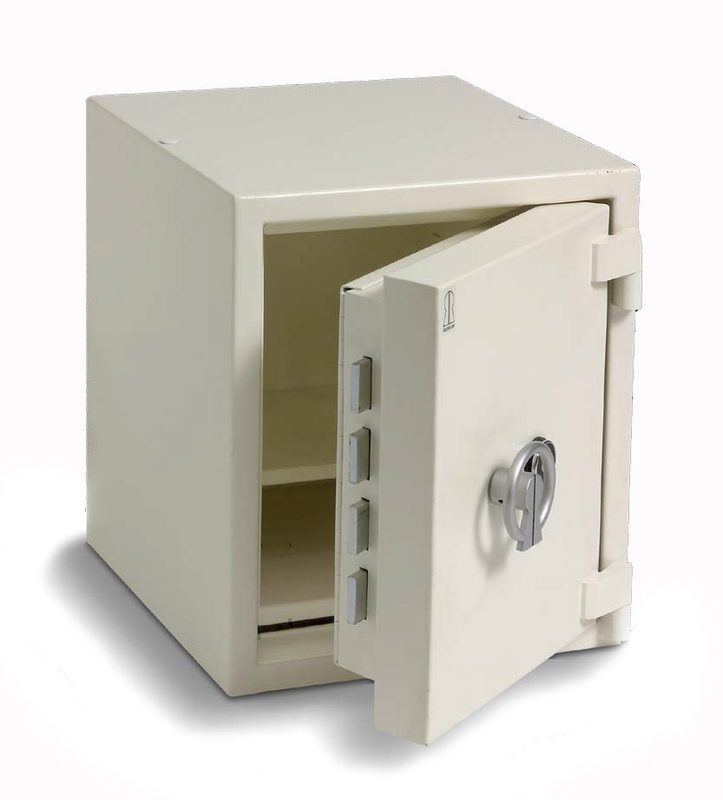 Ideal for commercial use, Robur Grade I security safes are finished in an off white powder coat paint which will suit any office environment.